Getting top dollar for rental properties hinges on things that lie within and outside of your control. 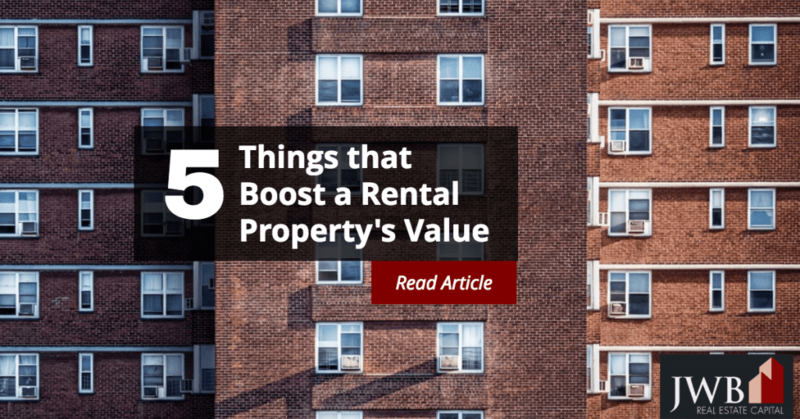 While you can’t do much about the latter, many options exist for boosting rental property value. Between your budget and the insights of an expert property manager, you’ll be able to create a compelling home. Keeping energy bills in line is important for everyone. Projects as easy and cost-effective like adding insulation to the attic and sealing the air leaks around the window and exterior door frames go a long way toward lowering heating and cooling bills. A furnace or air conditioner on its last legs will drive up energy costs and could break down any time, forcing an emergency replacement that might cost you top dollar. Never estimate the power of first impressions. A nicely landscaped front yard and door have strong appeal for prospective tenants and buyers alike. A porch, however small, with a swing or bistro set sends a visual welcome from the street and has practical benefits as well for bringing in kids and groceries. A clean and groomed backyard also helps sell the property to prospective tenants. Depending on the season, freshly potted plants and flowers invite people to the backyard. All homebuyers and renters consider kitchen and bathrooms the most important rooms in the home. However, remodeling either of these rooms can require a substantial investment. Paint dinged or dingy kitchen cabinets. White cabinets are classic and help brighten up a room where most people want as much light as possible. Install spot lighting under the cabinets. Small battery-operated LED lights provide bright task lighting for countertop work along with just enough light to navigate the kitchen after dark. Consider enlarging the kitchen by removing a wall or a kitchen island that’s too big for the room. Old appliances can be a turnoff, but new ones are expensive. Instead of paying retail, look for discontinued floor models or scratch and dent products at the local home improvement store. A can of matching appliance spray paint may be all you need to cover the flaws. If the appliances slide into a cabinet, no one will ever see the flaws on the sides. Replacing the sink and tub faucets. Using restorative cleaning products to bring the shine back to sinks, showers and tubs. Clear glass shower doors take a beating and if they can’t be thoroughly cleaned, consider replacing them with frosted or opaque glass doors. Updating the lighting and towel bars. Neutral paint may not appeal to everyone, but it goes a long way toward brightening up the home and creating a blank canvas that goes with virtually everything. Remove the carpeting and replace it with hard surface flooring, some of which cost less than carpet. Ceramic tile and laminated flooring last far longer, are easy to clean, and won’t absorb odors and dirt. Your tenants and the clean-up crew will appreciate it. These types of improvements enhance the property’s value without requiring a substantial investment. Knowing what’s best for the home and neighborhood is often a collaborative effort between you and the trusted professionals you rely on to make solid decisions. Talk to one of our investment specialists to learn how JWB can help you earn passive income through long term real estate investing.